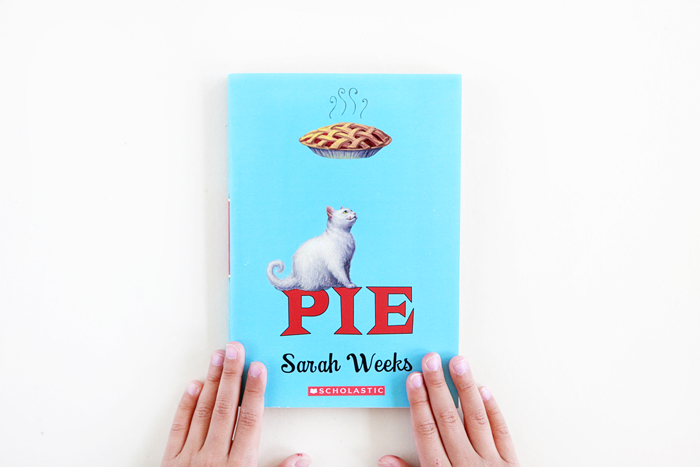 What we're currently reading: Pie by Sarah Weeks. A fantastic story so far about friendship, family and pie. And it doesn't hurt that there's a different pie recipe at the end of each chapter! It turns out that the recipes came from all over the country and Sarah made all of the fourteen pies in the book. Her favorite was cherry, with buttermilk as a close second.